I am always fascinated by how multifaceted people are. My guest Bernard Quisumbing is a great example. He’s a businessman, dim sum lover, father, positive rapper, New Jersey boy, hopeless romantic, and recovering addict. We discuss all of that and lumpia here in “Shumai and Buddhakai”, on “Something About Food?”. Bernard Quisumbing is the internet sales director at Boulder Hyundai and has shifted the culture of car sales by becoming the #MostLovedCarSalesman in Boulder, Colorado. It isn't about having the most sales and knocking out the biggest grosses, it's about how much love, care and concern I have for all of my customers, that eventually become my friends! Buddhakai is a dynamic rapper with a tumultuous past, who's battled and overcome everything from depression, over a decade of meth addiction, obesity, poverty, and broken relationships, and now raps about freedom. 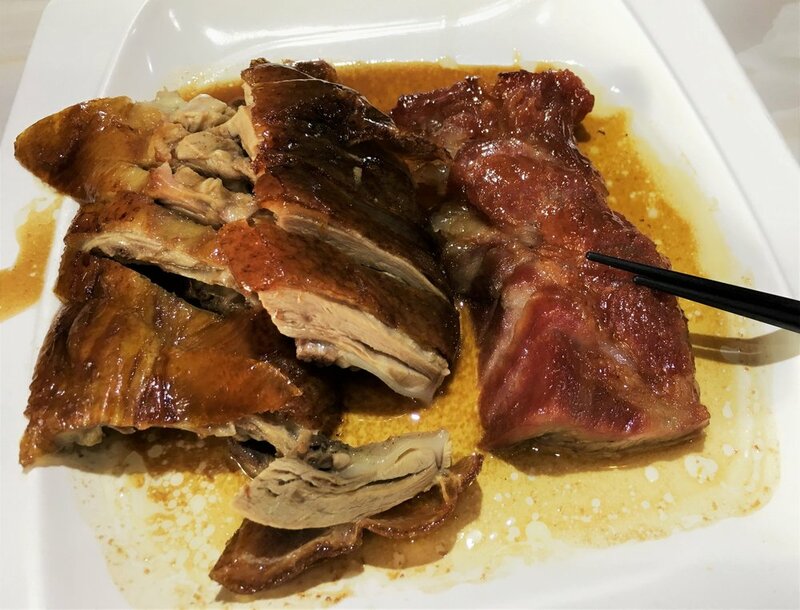 This is the Pekin Duck that Bernard walked 2 hours to eat. I admire that kind of dedication to amazing food.